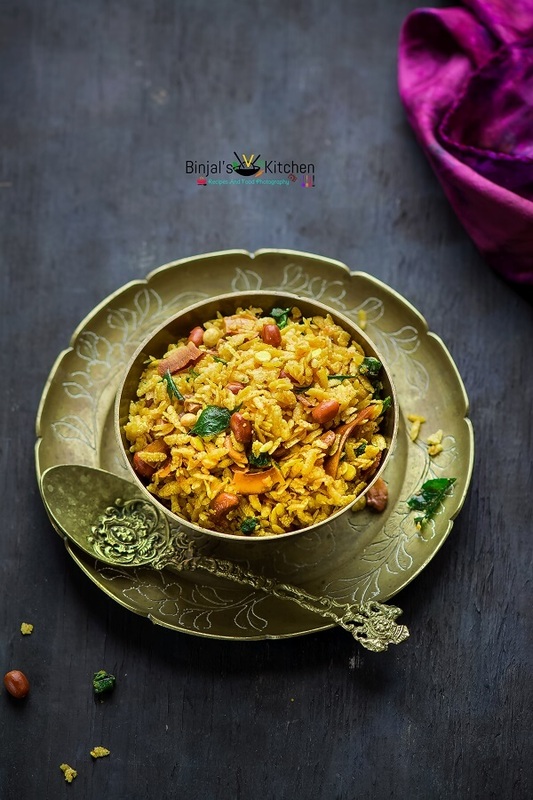 Thick Poha Chivda is one of the quick recipe. Thick Poha Chivda recipe has a great shelf life and is so easy to make. 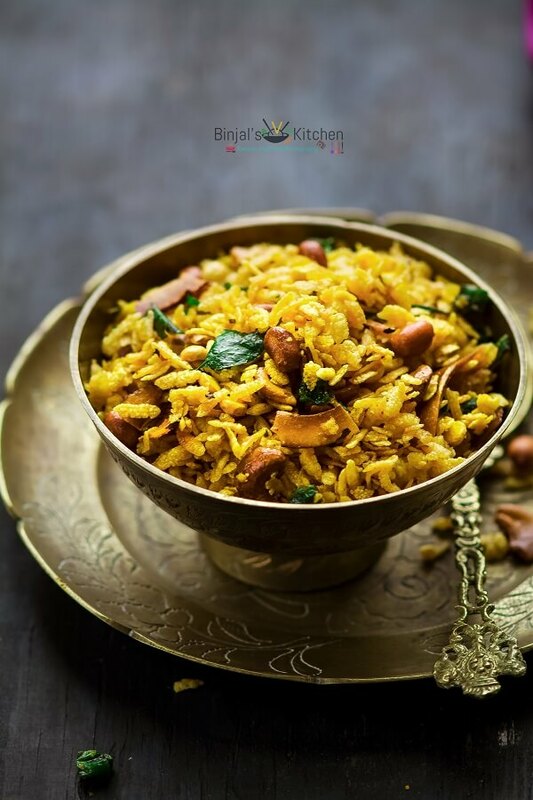 Thick Poha Chivda is a recipe of crispy beaten rice flavored with peanut, dry fruit and spices makes a delicious anytime snack. Poha Chivda (Chiwda) can be prepared in two ways, one variety is prepared with the thin Poha which is roasted version and I made this using thick Poha which is deep fried version. Make a thicker variety is the more common one. 1. Hit oil in a deep pan for deep frying, when hot enough, fry Poha in small small batches by using fine sieve ladle till they become crisp. 2. Take large bowl and get all fried Poha in that. 3. Now fry peanuts till become crispy and crunchy, then add or place it on fried poha. 4. Same way fry cashew, roasted chana, chopped coconuts slice, raisins, chopped green chili and curry leaves one by one and place it on Poha, then let it cool for 1-2 minutes. 5. Now sprinkle turmeric powder, red chili powder, salt over the Poha mixture, toss it and mix well. 6. Lastly add powdered sugar on mixture, mix well again and toss it. 7. Let them cool down and then store in airtight container. Thick Poha Chivda is one of the quick recipe. Thick Poha Chivda recipe has a great shelf life and is so easy to make. 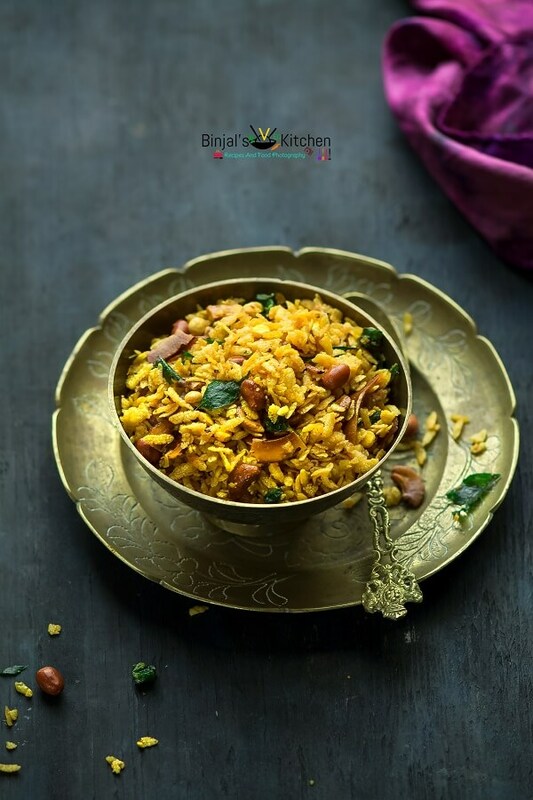 Thick Poha Chivda is a recipe of crispy beaten rice flavored with peanut, dry fruit and spices makes a delicious anytime snack. Hit oil in a deep pan for deep frying, when hot enough, fry Poha in small small batches by using fine sieve ladle till they become crisp. Take large bowl and get all fried Poha in that. Now fry peanuts till become crispy and crunchy, then add or place it on fried poha. Same way fry cashew, roasted chana, chopped coconuts slice, raisins, chopped green chili and curry leaves one by one and place it on Poha, then let it cool for 1-2 minutes. Now sprinkle turmeric powder, red chili powder, salt over the Poha mixture, toss it and mix well. Lastly add powdered sugar on mixture, mix well again and toss it. Let them cool down and then store in airtight container.